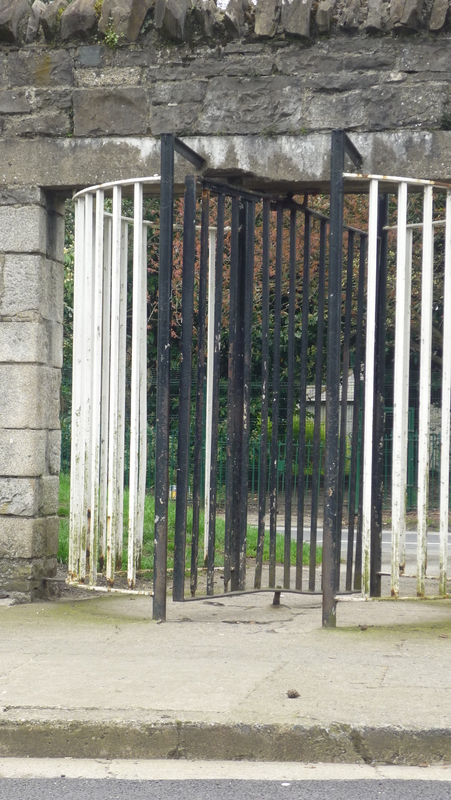 Where would we have been as kids without the Phoenix Park? It was the biggest playground in Ireland and it was right on our doorstep. We had free access to it twenty four hours a day, if we were allowed. I remember being pushed in a pram by my older brothers and their pals as they made their way up to the Park to get the leftover turf from the war years or ‘The Emergency’ as the Da’ called it. The government had decided to store the turf there in case the Germans came in and took it all. Them Germans would have had a tough time trying to take it from anyone living in Cabra, can you imagine it all the same. We could speak to them in German because we learned all that language from our comics, especially ‘The Victor’. ‘Herr Himmell, acthung. That’s is our Turf you swinehud…’. Although the Park wasn’t exactly in Cabra we stilled laid claim to it as our own, a bit like the Cabra Baths. I also remember when the Da’ used to take us for a walk up to the Zoo on a Sunday after our dinner. On a very rare occasion some of us would actually get to go inside, usually sometime around our Confirmation Day. Them bloody Monkees were better fed than us. We only saw an orange at Christmas, they got one every day and a banana as well. We used to try and reach over the rail and rob some nuts that the Monkees let fall. There they’d be screeching at us ‘Hey you, leave our nuts alone and go back to Cabra’. And we’d shout back ‘We will if you go back to Tarzan’. Usually when we went with the Da’ to the Zoo we’d only get to walk around the outside . We didn’t mind really because we’d still be able to see some of the Kangaroos and maybe a Giraffe or the Lions. 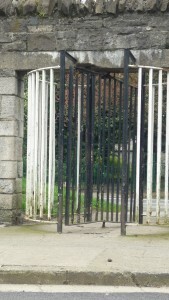 There was a great spot over by where DeValera lived and you could see right in to the Penguins. And again they got better fish than what the Ma’ used to buy from Mrs Malone. Sometimes if you were lucky you might find a wooden ball that was damaged from the games of Polo that we used to see. Our favourite place to go was to the Wellington Monument with its myriad of steps and the soldiers made of metal on its side. And of course we always went to the Park for chestnuts, all up along by the side of the Civil Defence Headquarters, that was the best place for them. Do you remember young lads throwing sticks up into the trees to try and knock the conkers down? Someone was always sure to get a smack on the head from a flying stick as it came down to land. ‘Here you, ya eejit ye, watch where you’re throwing that stick’. We could walk for miles and miles and still find our way home for our tea at six o’clock. And the Ma’ would never ask us where we had been, she’d be too busy shovelling the food into us, especially if it was Pancake Tuesday. I remember the Army Band or the Garda Band playing up in The People’s Park of a Sunday and loads of kids sitting around on the grass. The adults took up all the wooden green seats. And there was a man there selling ice cream out of a box at the front of his bicycle. Sometimes you’d even see a few mad people walking around and talking to the trees or something. Nowadays some people just hug the trees instead and they call themselves Eco Warriors, I wonder what the Da’ would call them?